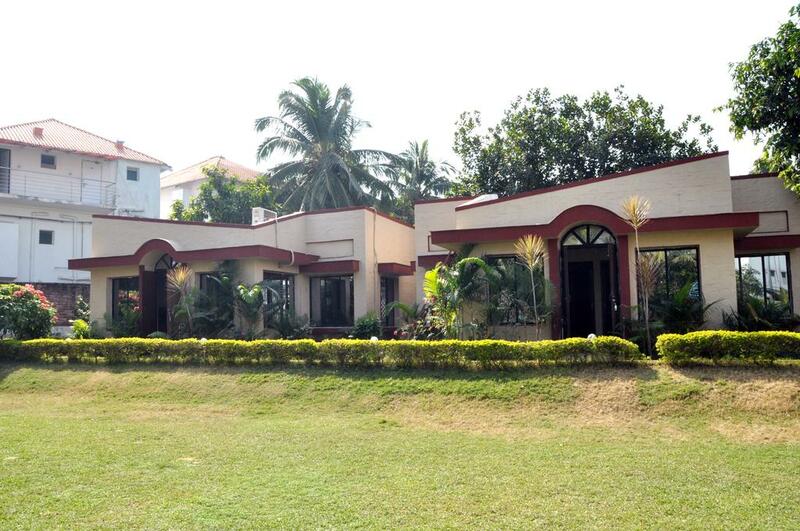 Located in the heart of Digha town, Hotel Dolphin is a reputed two star property that offers affordable and comfortable accommodation options to business as well as leisure guests visiting town. The hotel is aptly located near major tourist and commercial centers that make it convenient for guests to move around in town. The hotel has modern and well maintained structure in which it houses different categories of accommodation choices that guests can choose as per their requirements. 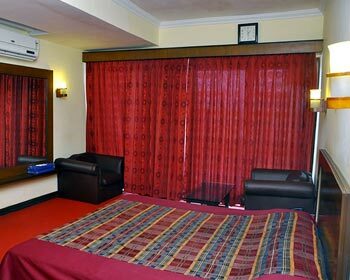 Dolphin hotel offers Economy Rooms, Standard Double Bed Rooms, Deluxe Rooms, Triple Bed Rooms, Four Bedded Rooms, Executive rooms, Family Suites, Cottages and Maharaja Suites as different accommodation choices. All the rooms sport modern décor and are equipped with state of the art amenities and features that make them ideal vacation destination. The hotel also boasts of a multi cuisine in house restaurant that serves Indian, Chinese, Continental as well as local delicacies to keep patrons taste buds satisfied. In addition to these, the hotel has developed several other facilities to serve clients better. These include car parking, early check in and late checkout facility, doctor on call service, express laundry, currency exchange, travel desk, car and cab rental facility along with high speed internet access through WI-FI. 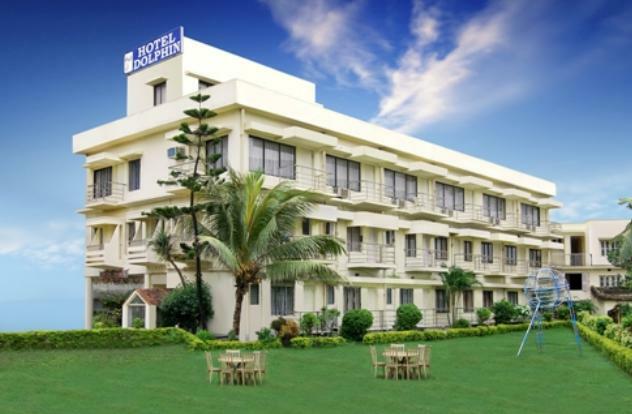 Perfect location by the azure beach and availability of several types of accommodation options make Hotel Dolphin a very practical staying choice while visiting Digha. Economy Rooms are the simplest accommodation choice available at business and leisure Hotel Dolphin. These rooms are very basic when it comes to décor as well amenities and are strictly aimed at offering affordable staying option to travelers. The décor although minimal sports very elegant look and makes the room very lively. Adorned with cultural artifacts from the region, the interiors look nice and pleasing. Moreover, the Economy rooms are furnished with comfortable bed, table and chair, color television, telephone and private bathroom for the convenience of the clients. 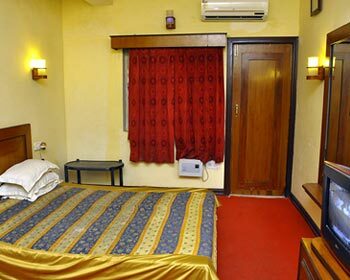 Clients can also opt for air conditioned Economy Rooms as per their requirements. Air conditioning is offered as an option feature in these rooms to cater to different requirements of clients. 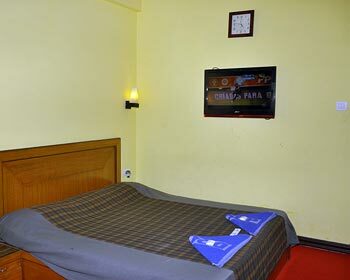 The budget pricing and practical amenities make Economy Rooms a very viable staying option in Digha. Aimed at offer lavish and comfortable staying choice to luxury class guests, the Deluxe rooms at Hotel Dolphin are one of the finest in the town. These rooms are specially designed by experienced artisans to make them more appealing to the high profile guests and clients. The Deluxe rooms sport a very opulent décor that is adorned with modern artifacts, paintings which are seamlessly fused into the cultural elements of the local region. The rich interiors are inspired by amalgamation of modern and classical design theme that give Rooms very chic aura. Moreover, they are furnished with best of amenities and features to make guests feel pampered during their stay here. The amenities include color television, private bathroom, comfortable bed, sofa unit, writing desk, telephone, hot and cold running water, satellite TV connection with premium channels and 24 hour room service facility. Clients can choose to pick air conditioning as an addition feature if they feel the need. The opulent décor and classy feel of Deluxe Rooms make them stand apart from their competitors. 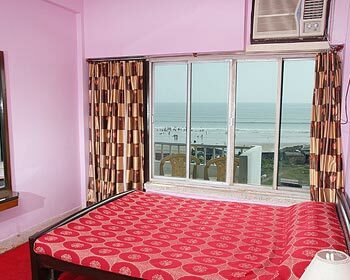 The Triple Bed Rooms are unique accommodation option aimed at group travelers who would like to stay together during their visit to Digha. The spacious room is constructed in such a manner that it offers lot of space on the inside to accommodate three adult guests comfortably. 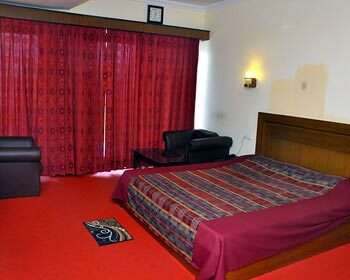 The rooms are furnished with three beds along with a small dining area that caters to the daily needs of clients. The décor is minimal and is reflects modern chic design themes in line with the kind of guest these rooms attract. As far as features and amenities go, the room offers private bathroom, color television, hot and cold running water, satellite TV connection with premium channels, telephone line with direct dial facility, round the clock room service and many others. This unique offering has helped hotel Dolphin earn great reviews from clients. Patrons have to choice of opting for air conditioning option, as per their requirement. Traveling with a group of friends or colleagues, you won’t have to put up separate rooms and miss all the fun; thanks to the Four Bedded Rooms available at Hotel Dolphin. These rooms are very large and are furnished with four full sized beds and comfortable mattresses. The room has enough space to host four guests and offers convenient room for patrons to conduct their daily activities very comfortably. The Rooms are designed quite tastefully and reflect a prefect mix of modern and classical design themes that give it very stylish look. Furthermore, to keep guests comfortable during their stay, the Four Bedded Rooms are fitted with premium amenities and features. These include comfortable bed, table and chair, color television, telephone and private bathroom for the convenience of the clients. The spacious nature and opulent décor make these room very good option for group travelers. Standard Double Bed Rooms are one of the most in demand accommodation options that Hotel Dolphin offers. Although light on pocket, these rooms have very classy décor and are loaded with features and amenities, which make them the perfect staying option for guests. The rooms are designed very tastefully and cultural elements are used in the overall structure of the room. The interiors are crafted by fusion of modern and classical design themes that reflect the gracious décor of the Standard Rooms. Furnished with a comfortable double bed, sofa unit and writing desk; the rooms are sure to cater to both business as well as personal needs of clients. Furthermore to keep clients pampered, the rooms are fitted with color television, satellite connection, subscription to premium television channels, private bathroom, hot and cold running water, telephone lines, room service and many other facilities. 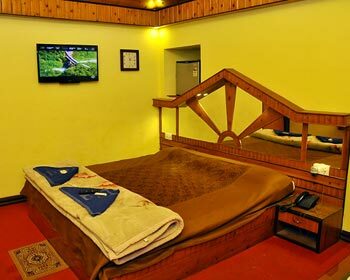 The budget nature and lot of offerings make Standard Rooms a perfect package for guests. 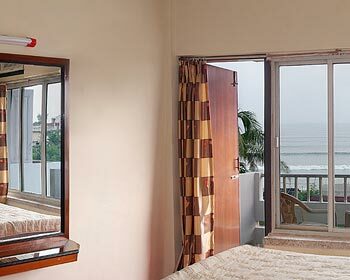 Executive Rooms are aimed at offers comfortable accommodation option to business and corporate guests who visit Digha for their work visits. The rooms are specially designed keeping their work commitments as well as private requirements in mind. The décor sports modern looks and interiors are adorned with artworks and paintings to give the rooms more elegant feel and appeal. Furnished with comfortable bed, sofa unit and work desk and chair; the rooms are sure to serve business guests in the best way possible. 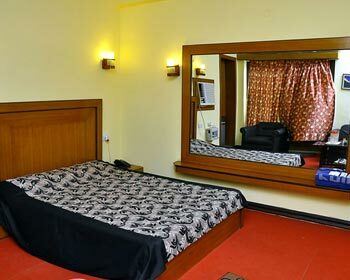 As far as amenities are concerned, the Executive Rooms are loaded with private bathroom, color television, hot and cold running water, satellite TV connection with premium channels, telephone line with direct dial facility, round the clock room service and many others. The chic modern look and professional amenities make Executive Rooms an ideal pick for corporate guest. As the name suggests, this accommodation option is aimed at offering comfortable staying experience to families who visit the pristine Digha Sea Front. The Family Suites are tailored after lot of research and feedback to cater to any and every kind of requirement that a family might have. Consisting of three bedrooms, dining area, living rooms and separate bathrooms; the Family suite surely offers enough rooms to guests to conduct their daily activities conveniently. Moreover, these suites are designed by blending modern design themes with local cultural elements that give them a very homely aura. 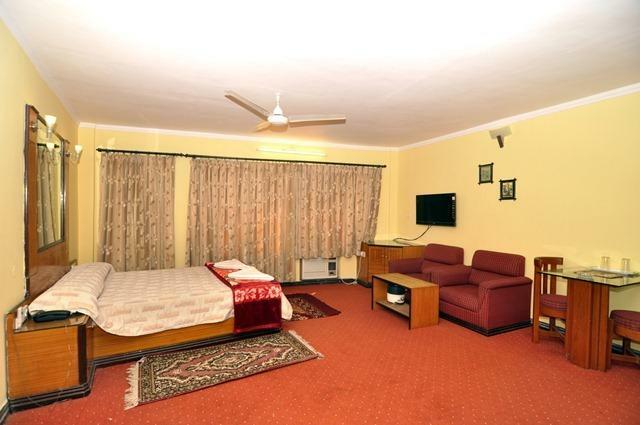 Equipped with latest amenities and features such as color television, satellite TV connectivity with subscription to premium channels, telephones, early check in and late checkout facility (depending upon availability) and 24 hour room service; make Family suites a perfect vacation choice for families. Loads of space that offers the family a chance to stay and spend time together, is what makes Family Suites a big hit among clients. Traveling with your family to Digha and looking for a good homely place to stay, worry not the Cottages available at Hotel Dolphin are perfect for you. These cottages are designed to offer perfect home stay experience to patrons who are keen to stay together and spend some quality time with their friends and family. The spacious cottage is structured in unique fashion to maximize space on the inside and include two bedrooms, dining space and living area along with private bathrooms. As far as décor is concerned, the Cottages have very homely feel and the interiors are inspired from the local culture and modern design themes. 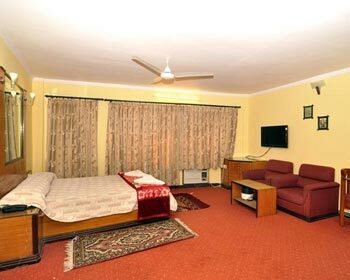 The amenities included in the Cottages as part of the rooms are air conditioning, color television with satellite connection and premium channels, in room telephones, round the clock room service and early check in and late checkout facility (depending upon availability). Ideal for group travelers and families; Cottages are one unique accommodation option that has earned rave reviews from guests. Looking for something special and different to pamper yourself on your vacation trip, then book the Maharaja Suite at Hotel Dolphin, Digha. As the name suggests, Maharaja Suite is the finest accommodation offering available at this hotel and is equipped with best of amenities and features. The entire top floor of the hotel complex is allocated to the Maharaja Suite and it consists of two bedrooms, a living room, dining space, private bathrooms. The most striking feature about this suite is the mesmerizing view that it offers of the Seafront, which helps patrons to relax and unwind in the lap of nature. The décor is very classy and maintained in line with the kind of guests this suite attracts. On amenities front, the suite offers air conditioning, color television with satellite connection and premium channels, in room telephones, round the clock room service and early check in and late checkout facility (depending upon availability). So go ahead and pamper yourself at the Maharaja Suite. Looking for a restaurant that offers delectable food and exciting ambience making dining a memorable experience, then the in house restaurant at Hotel Dolphin will surely impress you. The restaurant is located on the property of the hotel and is therefore very conveniently accessible to all patrons as well as others who are keen to enjoy a scrumptious meal. The eatery specializes in offering Indian, Chinese and Continental preparations along with local flavors. The Digha specialties cooked here are done as per traditional recipes and have unique taste and aroma that you won’t find anywhere else. Apart from this, the staff is very hospitable and attentive towards needs of the guests. Patrons will also be very pleased with general hygiene and cleanliness standards of the eatery.